The Paddock Art studios are housed in lovely old timbered buildings with a beautiful garden behind. 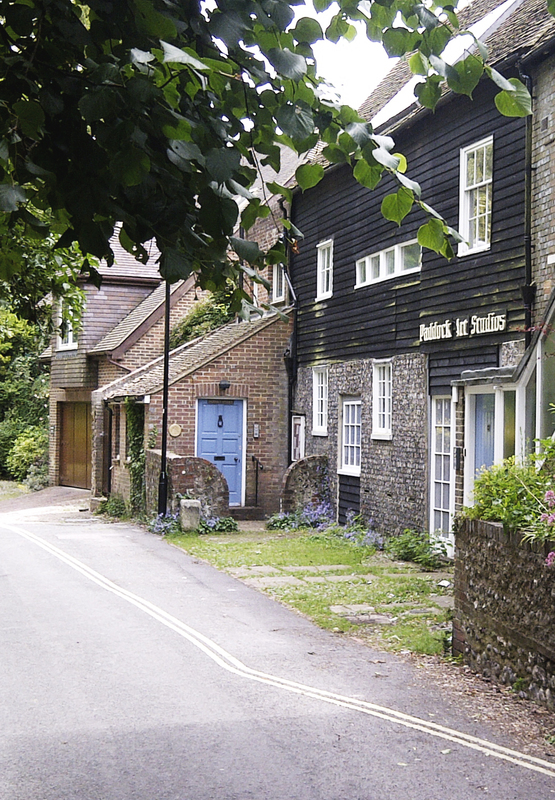 The fully equipped studios are close to the centre of Lewes, hidden in a back lane below the castle. We run classes for adults at affordable prices – mornings, afternoons, and evenings 5 days a week, plus daytime workshops at weekends and summer schools during July to September. Subjects include drawing and painting (in all media), clay modelling, print making and mosaics. There are also untutored groups for more experienced members, some using models for life or portraiture. Members are entitled to exhibit and sell work at our annual exhibitions and attend our inspiring lectures, which are also open to members of the public. Studios are also let to and used daily by artists creating a lively and social artistic community. To learn more about our history, please read The Story of Paddock Studios.